Investing for retirement is important so that you have enough money available once you can no longer work later in your life. Social security alone will not be sufficient and you want to ensure you have the money available to spend your golden years the way you dream, not scraping by and barely surviving. The best time to start making investments to meet your retirement goals is in you 20s so that you can take full advantage of compounding interest and employer matching contributions. Staring a retirement savings account in your early 20s versus your early 30s can mean many thousands of dollars in additional earnings from the account over a few decades, and this is money lost if you delay your investment activities. There are many methods that you can use when investing for retirement, and this is true whether you have access to an employer sponsored retirement plan or you are self employed. 401K plans, IRA plans, and many other options provide flexibility as you grow older and your investment goals and strategies change but you should start investing as soon as possible in your early 20s. This may seem like an impossible dream when you are faced with little income and numerous debts but even small amounts can make a big difference in your retirement fund balance later on. Many small business retirement plans offer employer matching contributions and these are free money for you after retirement. Make sure that you start contributing the maximum amount to get the full employer match. If you wait to start investing for retirement in your 30s you will lose out on many benefits, not just employer matching contributions for an extra decade. If you wait then the investment choices you make will tend to be more conservative, because you are closer to retirement age and less likely to take big risks with the money. If you start investing at 20 then a Roth IRA account or other plan that offers higher yields may be chosen instead. The strategy is that any capital lost can be made up due to the additional 10 years of account contributions. Higher yield investment choices that are somewhat risky offer the potential for much higher returns, and these options may far outpace conservative investment choices. 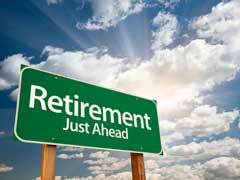 Withdrawals are an important consideration when you are investing for retirement. Ideally your retirement accounts would be untouchable, but there are certain situations where there are certain withdrawals allowed before you reach retirement age. If you start your accounts when you are 20 then by the time you are in your 30s and decide to purchase a home you may be able to access the funds instead of having to borrow at high interest rates. The 401k and IRA withdrawal rules may vary from one plan to the next, and some will allow loans where you borrow against your account balance and then repay your account with interest for the funds while others do not allow loans of any type.